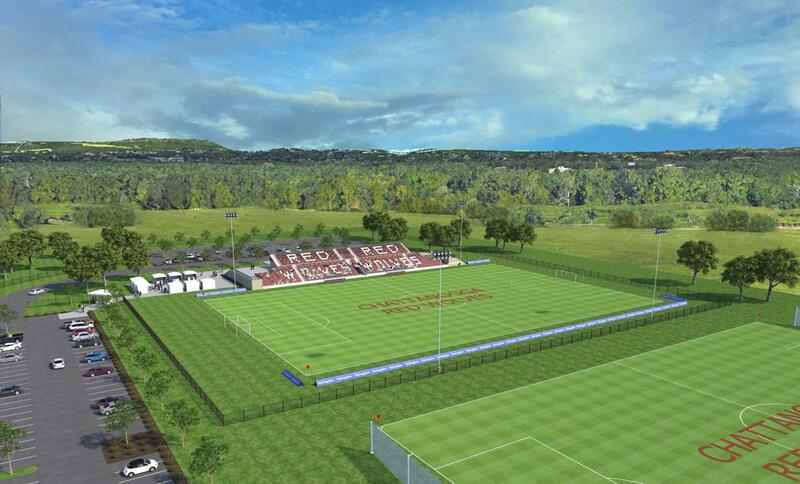 CHATTANOOGA, Tenn. – The East Ridge City Council approved plans for Chattanooga Red Wolves SC’s professional training center on the grounds of Camp Jordan in a unanimous vote last week. The complex will include a multiple fields, home and visitor locker rooms, concessions and a box office and will be home to the professional club, community events, and youth soccer programming. Red Wolves SC, USL League Two’s Dalton Red Wolves, and the WPSL’s Lady Red Wolves will use the first-class facility for training. Red Wolves SC owner Bob Martino sees the development project as an opportunity to invest in the community and help continue the growth of the game of soccer in Chattanooga. Red Wolves President and General Manager Sean McDaniel views the training complex as an opportunity to create an unrivaled professional experience in the city. Heading into the club’s inaugural season, a complex of this kind will continue to raise the standards of professional soccer in Chattanooga and attract quality players to the city. The impact of the development project extends beyond the four lines of the soccer field. The facility will create new employment opportunities in East Ridge and lead to further development in the areas surrounding the complex. The city plans to break ground on the new Camp Jordan complex in the coming months. Meanwhile, Red Wolves SC is working towards its inaugural match against North Texas SC on March 30 and continuing to explore locations for the club’s soccer-specific stadium.